The roof is probably one of the most important components of your house. Not only does it protect you from the harsh rays of the sun, the chilling blow of the wind, the heavy drops of rain, and the unforgiving fall of snow, but it also gives your house an added aesthetic appeal. More and more homeowners are now buying new roofs because most of the roofs of today have already reached their useful end. Also, new homeowners are opting for storm-resistant roofing systems that have only been recently developed. As a matter of fact, according to a recent study conducted by The Freedonia Group, the demand for roofing in the United States alone is expected to expand at a compound annual growth rate (CAGR) of 4.9%, reaching $19.9 billion in the year 2021. Enough of the pep talk and let us get down to business. Continue reading below to learn more about the warning signs that should put you on notice that your roof needs immediate repair or replacement. In case of missing or damaged shingles, examine the extent of the destruction. 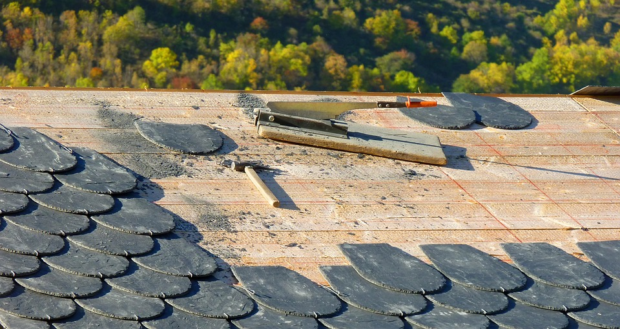 The more the number of missing or damaged shingles, the more evident it is that a mere roof repair will not be able to fully address the problem. However, roof replacement is the last resort. If the roof can still be repaired partially and effectively, then there is no reason why it should not be the first option. Make sure to contact a reliable roofing service provider and ask for their professional opinion. You can find excellent roofing services by asking for referrals and recommendations from friends or relatives, or by visiting websites like www.provenroofing.com. Stains on the roofing would indicate a mild to severe roof leak, depending on the surface area covered and the seriousness of the staining. At first look, a roof leak may not be very obvious to the naked eye as they are very hard to spot. Leaks, whether big or small, can cause damaging effects on your roof. So be on the lookout for the first signs of a roof leak — like water leaking downwards, or brownish or yellowish stains on the ceiling — and act fast as these subtle signs sometimes point to damage requiring immediate reroofing. If your roof is already old or has been serving you for quite a long time now, then you should consider replacing it with a new one. A good rule of thumb for measuring the ideal life span of a roof is 20 to 25 years. However, there are still many variables that would affect this rule of thumb. Take into account how many storms or hurricanes your roof has endured, how many shingles are now missing, curved or damaged, the presence or absence of a roof leak, and the condition of your roof ventilation.